It is a fact that art provides amazing therapeutic benefits for the mind and soul. However, many people assume that art is only for those who are truly passionate about it. Additionally, when we think of bonding time with friends or family, we often think of outdoor activities or weekend getaways. Art & Bonding are paving the way to use art as a tool to bond people together. It is their fresh concept to use art to create memories and get people closer. 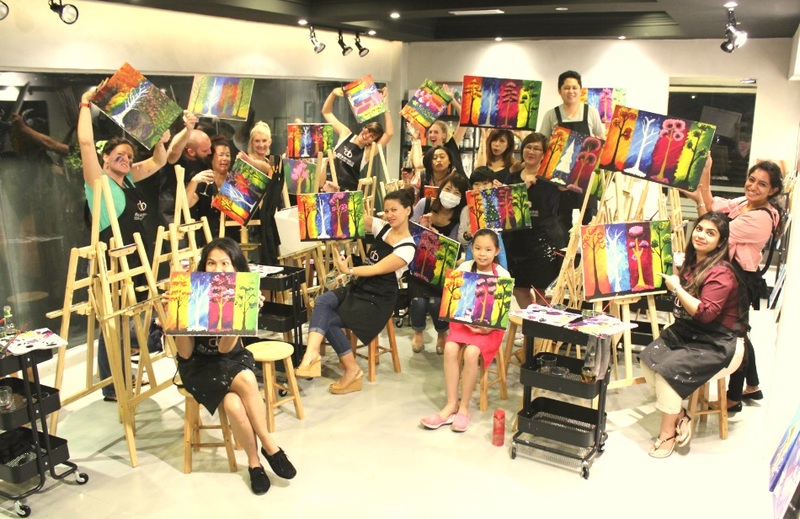 Sip n Paint: Every Friday and Saturday nights (8pm-11PM), paint 1 theme together with a glass of wine. They always put the theme in advance on their social media platform so that clients can book in advance. If you come in a group of 5 pax, you will get 1 bottle of wine for free. 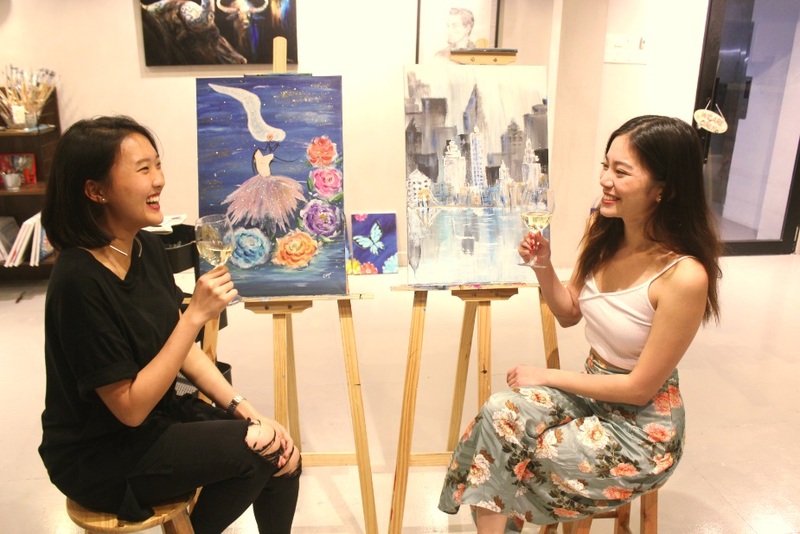 Sip n Paint – Date night : This is the same as Sip n paint, however it takes place on every Wednesday night (8pm – 11pm) and the session is done in a pair-up setting. Recommended for couples, best friends or family members. It started when the founders Philip & Stephy ran out of dating ideas in Malaysia. Going to the shopping mall & cinema, restaurant & bar has become their daily routine. 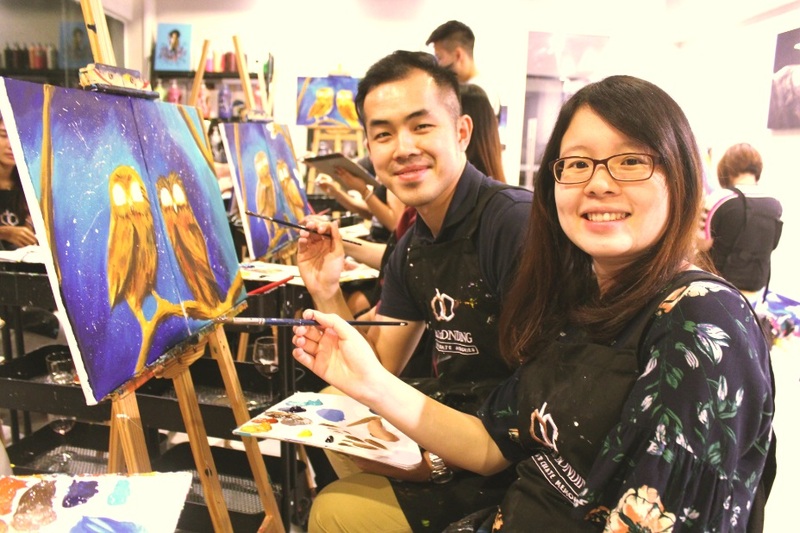 Something magical happened when Philip was forced by Stephy to paint together with her, they found out that by just sitting together for 2 to 3 hours & creating something together made them connected in a deeper way and get to know each other more and better. It created moments and memories just by painting, so that’s how ‘Art’ and ‘Bonding’ was being put together. Ultimately, they want to bond people through art. In today’s digitalized world, it is very difficult to have a good quality time to spend good quality time with your loved ones. In addition, we are occupied with our smartphones more than ever. They want to promote art and to make it more accessible to everyone through our happy and fun events. Furthermore, they are trying to develop a new Art-Lifestyle in Malaysia. Most of the Malaysians have never painted since primary school. They are fixated in their mind set that only professional artists can paint. They are here to tell everyone that ‘Now Everyone can paint!’. 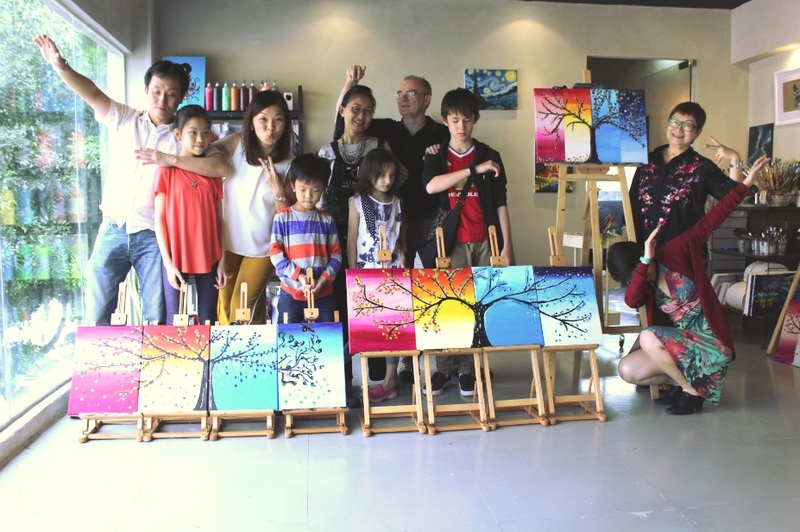 Through their fun events, people have the chance to get in touch with art again.